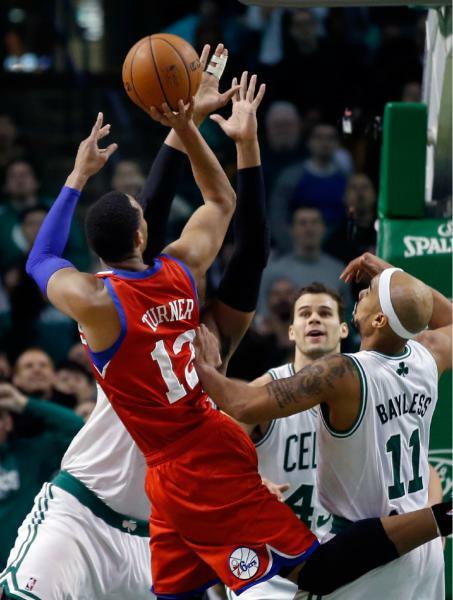 Last night, Evan Turner beat the buzzer in traffic with less than a second left to beat the Boston Celtics 95-94. Under normal circumstances, I’d view this as a crushing defeat. But with the way the NBA is set up, the Celtics thrived in their biggest game of the season. They took the Philadelphia 76ers down to the wire and lost the game. As a true Celtics fan, it was the absolute best outcome one could ask for. Going into last night’s game, the Celtics were a half game better than the 76ers in the standings. Losing to the Sixers put the Celtics in better position to acquire more ping-pong balls for the draft lottery. The Celtics now have the third best chance to acquire the #1 pick in the 2014 draft. The other caveat in losing to the Sixers, is the potential of getting their 2014 1st round pick. Every Celtic fan should be rooting for the Sixers to win as many games as possible. If the Sixers make the playoffs, the Celtics will have three first round picks. If the season ended today, the Celtics would have the 20th pick of the first round from Brooklyn. Brooklyn has recovered from their woeful start of the season and have won 8 of their last 10. There is reason to believe they have “figured it out.” I believe the Celtics will be picking between 20-25. Here are three guys who may be available around that time in the draft I’d be interested in. Cauley-Stein patrols the paint for the University of Kentucky Wildcats. As you can see by his 3.2 blocks per game, he does a terrific job of protecting the rim. Cauley-Stein is 7’0 244 pounds. His offense lacks polish, but make no mistake about it, Cauley-Stein will be a terrific defender for the Celtics. I believe he can fill the enforcer role left vacant with the departures of Kendrick Perkins and Kevin Garnett. The added bonus Cauley-Stein brings to the table is his ability to run the floor like a gazelle. Surely, Rondo is salivating at the idea of having a fellow Wildcat on the Celtics roster that possesses the skills of Cauley-Stein. Gordon is a 6’9 freshman from the University of Arizona. Like Cauley-Stein, he runs the court extremely well and is an absolute freak of an athlete. 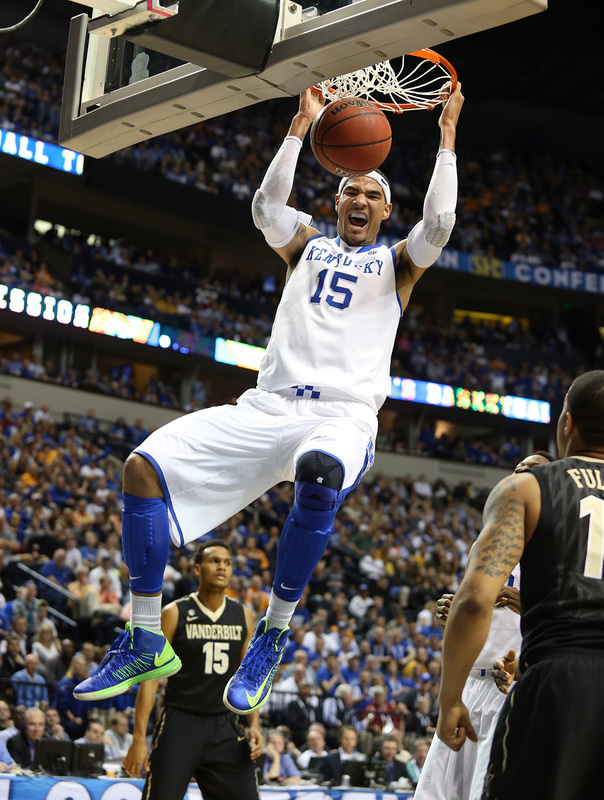 Much like Cauley-Stein his offensive skill set is not much to write home about. He gets the majority of his points by running on the fast break and catching alley-oops. Much like Cauley Stein, he would be a great running mate for Rondo. Gordon is far from a finished product and Celtics fans would have to be patient with his development. But the tools are there. Young is a 6’6 shooting guard/ small forward out of Kentucky. I watched him light up Providence in the beginning of the season for 18 points, shooting 3 of 4 from long-range. Young has the ability to get red-hot as evidenced by some of his point totals this season: 26, 21, 26, 23, and 23. He is only shooting 33% from three however. Regardless, I believe James Young will blossom into a solid NBA player. I would love to see him do so wearing Celtic Green. Earlier in this post I mentioned a rumored trade that I believe would net Danny Ainge the Executive of the Year Award in the NBA. The Phoenix Suns have 6 first round picks in the next 2 drafts. They are currently 6th in the Western Conference. The Suns could use a wing player to compliment Goran Dragic and Eric Bledsoe (when he returns from injury). 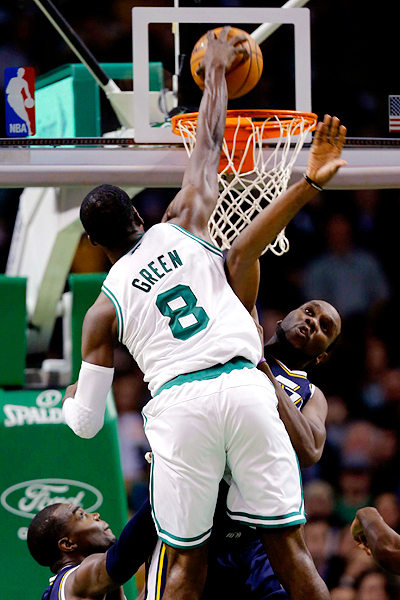 Enter Jeff Green. Green would fit the bill perfectly for the Suns. He is a role player would have the ability to break out from time to time. There is also an outside chance the Suns would be willing to take on Gerald Wallace also. Phoenix would give up 1 of their 2014 first round picks and Emeka Okafor’s expiring contract. If that were to happen, the Celtics would open up a ton of room under the salary cap allowing them to make a run at big name free agents this summer. So there it is. The recipe to get the Celtics back into title contention. Open up cap room and acquire draft picks. With a little help from Phoenix and Philadelphia, Celtics fans may only have to root against their team just this season. The Celtics have the chance to be quite good for quite some time.